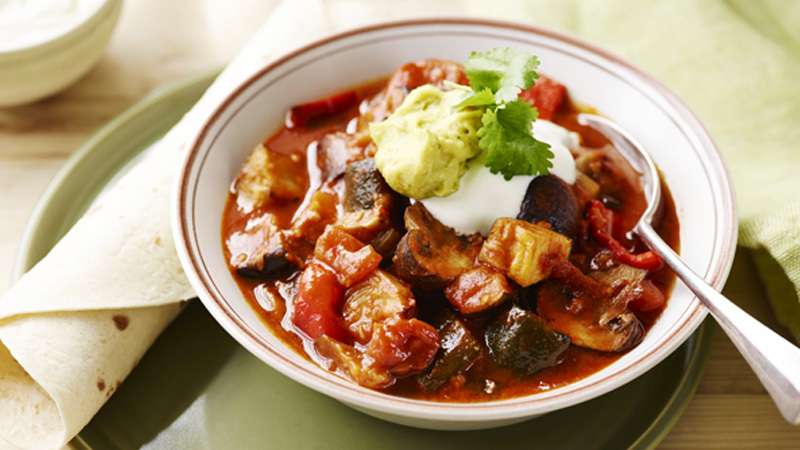 Packed with vegetables this chunky chilli makes a filling family supper. 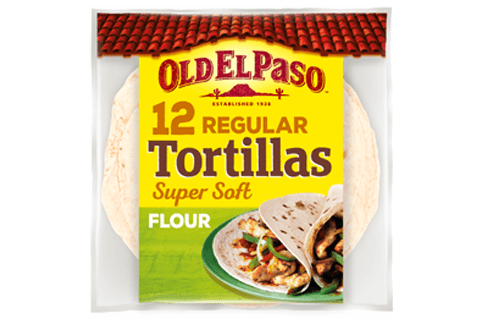 Serve with warmed tortillas or crusty bread. 1. Preheat the oven to 220°C (200°C for fan assisted ovens), gas mark 7. Spread the shallots, aubergine, courgettes and pepper in a large roasting tin. Drizzle over 3 tablespoons of the oil and toss to coat. Roast for 25-30 minutes, then stir in the mushrooms and roast for a further 10 minutes, until all the vegetables are tender. 2. Meanwhile, heat the rest of the oil in a large flameproof casserole. Add the garlic and fry for 1 minute then stir in the chilli seasoning mix and fry for a further few seconds. Stir in the tomatoes and water and bring to the boil. Simmer for 10 minutes. 3. Stir the roasted vegetables into chilli tomato sauce and simmer for 4-5 minutes. Season to taste with salt and freshly ground black pepper. 4. Serve in warmed bowls topped with guacamole, soured cream and fresh coriander and with warmed tortillas. Cut all the vegetables into even-sized chunks so that they cook evenly. 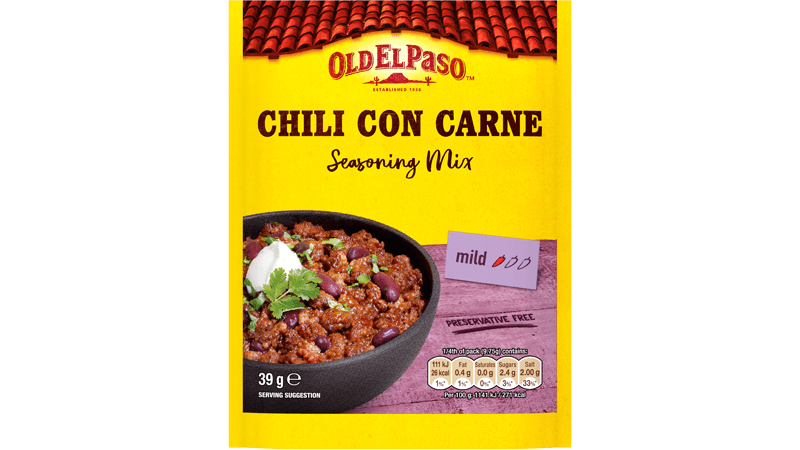 Try adding a handful of drained black or green olives or some drained and rinsed capers to the chilli at the end of cooking.